The Savanna is a fun twist we’ve created based upon the classic Grecian pool shape. Rather than create a Sport Bottom hopper (common with most Grecian Shapes), we’ve given the Savanna a modest Deep End with long Bench Seating on both ends. With the introduction of the Savanna, we bring you another member of the Grecian Pool Shape Family! The Savanna is a beautiful rectangular pool shape but we still classify it as a Grecian pool due to the extended shallow end entry steps & bench seating on both sides. 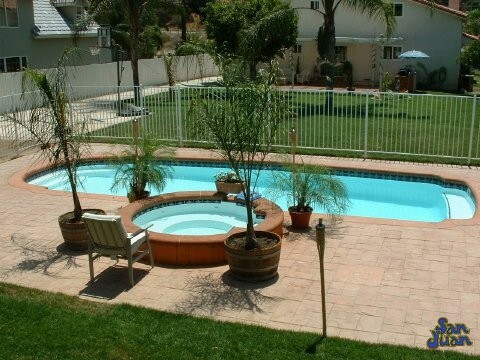 The Savanna is very similar to our Hawaiian pool model, but it is slightly longer and deeper than the Hawaiian. So what makes the Savanna unique? We really enjoy the increased width that the Savanna provides. It’s overall width of 14′ makes for a comfortable space for swimmers to stretch out. 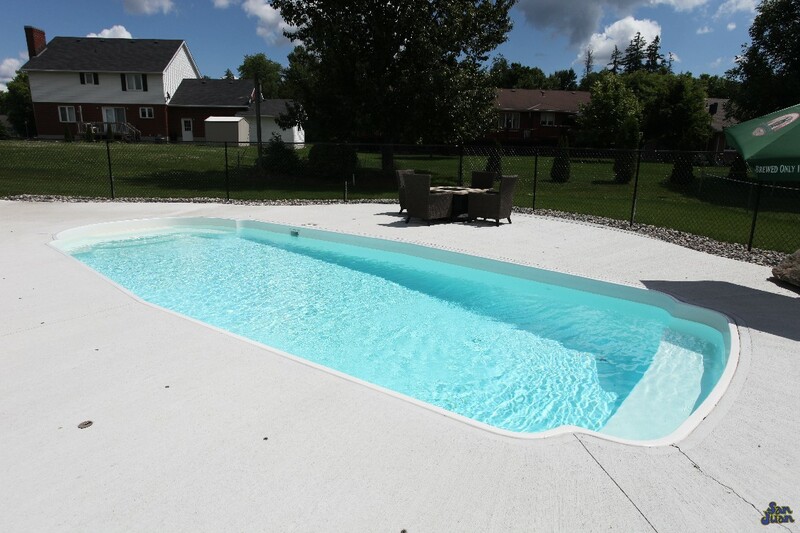 Secondly, we’ve increased the length to 32′ 6″ which makes the Savanna perfect for lap swimming. Lastly, if you enjoy the design approach our bench seating offers, you’ll love the extra wide Deep End Bench Seat of the Savanna. Because this is a Grecian design (which is commonly referred to as “mirror pools”) we’ve included a extra wide set of Shallow End Entry Steps! These are great places to rest before and after rigorous water workouts. As we stated above, the Savanna sports a unique set of extra wide Shallow End Entry Steps. 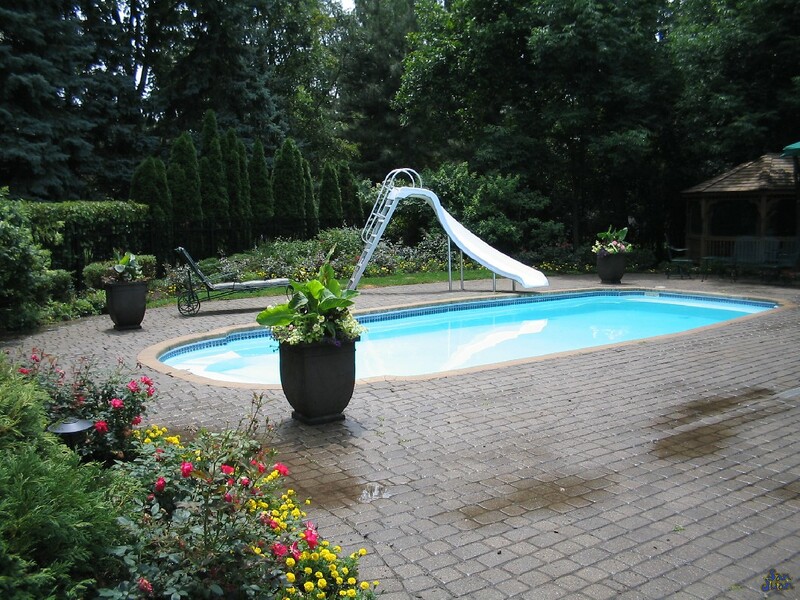 These can be utilized for both entry & exit into the swimming pool, but also for bench seating & entertaining. The steps of the Savanna are curved due to it’s Grecian shape. This is a perfect place to add in a handrail for increased safety & curb appeal! The Savanna is certainly not classified as a deep end swimming pool. Instead, we’ve given it a modest depth of 5′ 6″ to make it comfortable as an entertainment swimming pool. You’ll feel more at ease with its conservative deep if you have beginner to intermediate swimmers. 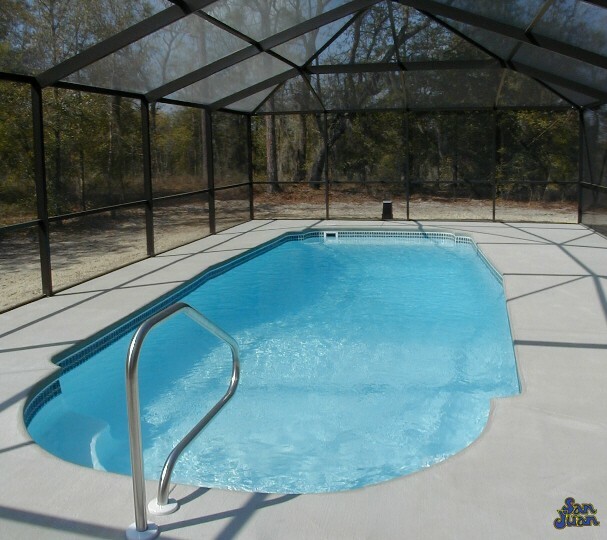 Secondly, it’s 5′ 6″ deep end makes it a more comfortable swimming pool for swimmers that enjoy raft floating & casual swimming activities. To summarize, the Savanna is a beautiful Grecian pool shape that we’ve created for beginner to intermediate swimmers. 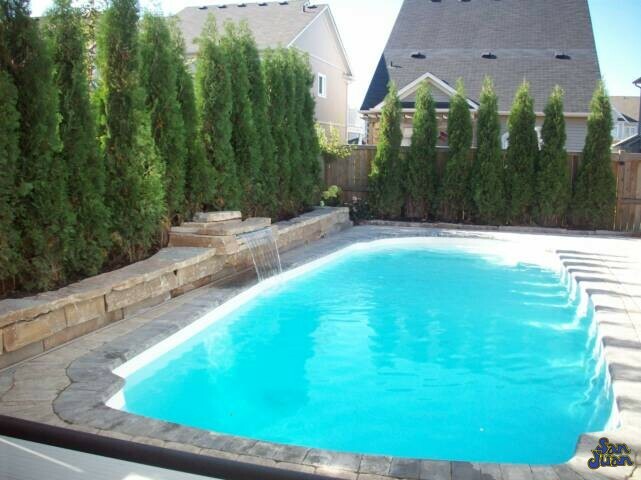 It sports a modest 5′ 6″ deep end and an extra wide deep end bench & shallow end steps. 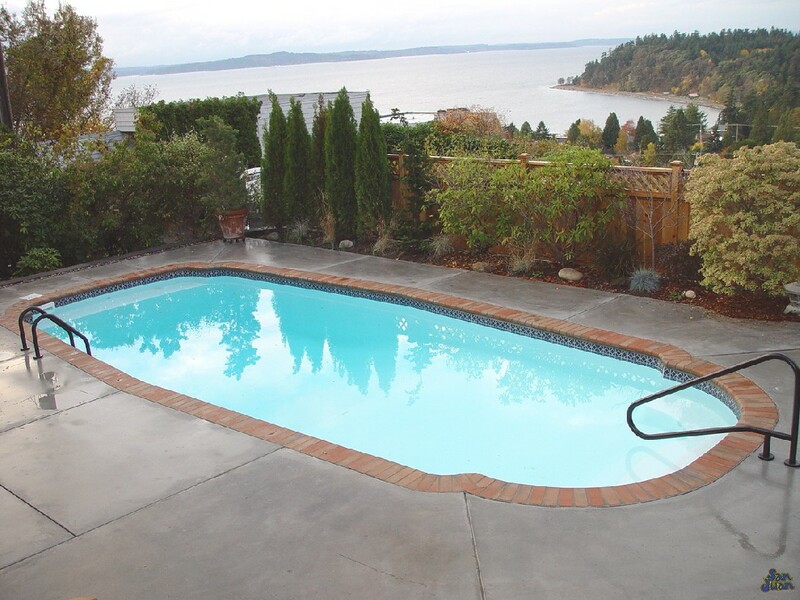 We created this swimming pool to be a slightly larger version of the Hawaiian fiberglass pool model. If you are looking for a swimming pool that gives you peace of mind & fits a small to medium sized backyard, the Savanna may be the ticket!